Mr. Jeff D. Reeter pursues life by design as an entrepreneur, servant leader, and strategist. As managing partner of Northwestern Mutual, he leads a team of people in the Houston area. He is co-founder of Total BEST for Life Success, which offers presentations, training, and life coaching to Fortune 500 companies, non-profits, and individuals. His leadership mission is to wholly develop a team of champions who are dedicated to excellence in serving others. During his years at Baylor, he was as a member of Phi Gamma Delta and lettered in football under Grant Teaff, participating in the Cotton and Bluebonnet bowls. He earned a BBA from Baylor in 1984. He is a graduate of the Wharton School of Business Securities Industry Institute and earned his CLU designation from the American College in Bryn Mar, Pa.
Mr. Reeter is a past chair of the Baylor Development Council, president of the Dallas Baylor Bears Club, and member of the Friends of Baylor Steering Committee. He is a life member of the Baylor “B” Association for letterwinners and its Bear 100 Club. In 2004, he and his firm received Baylor’s James Huckins Medallion for contributions given in his honor. 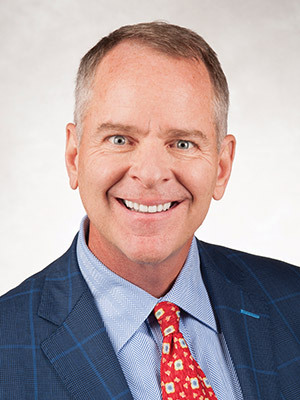 He serves a number of community organizations, including the boards for National Christian Foundation, Houston Christian High School, First Liberty, and Riley Foundation. He is a Paul Harris Fellow with Rotary International, a member of the Council for National Policy, and deacon for Second Baptist Church in Houston. He is married to Cindy, a Baylor graduate and a Lady Bears tennis letterwinner. They have three sons, all Baylor graduates.